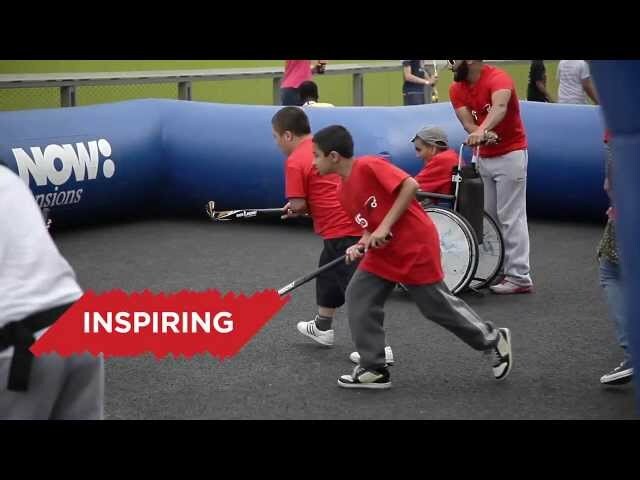 Coca-Cola GB has extended its six-year partnership with doorstep sports charity StreetGames in a move which will bring thousands more opportunities for people to access grassroots sports and activities across the UK. Since 2010, we've helped bring sport to the doorsteps of more than 165,000 young people across the country through our global network and award-winning partnership with StreetGames. This has included creating work experience opportunities for 45 young people at the London 2012 Olympic and aralympic Games, and investing in StreetGames’ Neighbourhood Festivals and other mass participation events. It's just one of the ways we're using our £20 million investment to help improve the wellbeing of local communities where we do business. We've also helped to set up the StreetGames Training Academy, which has provided qualifications to 11,000 young people and developed over 33 different courses over the last three years, including the Level 2 multi-sport qualification aimed at producing the next generation of community sports coaches. Established in 2005, StreetGames helps to make sport more widely available for young people living in disadvantaged communities throughout the UK. The benefits of this ‘doorstep sports’ approach include providing a wide range of sports and activities in the right style, at the right time. Launched in 2014 and delivered in partnership with local authorities, ParkLives offers hundreds of free and fun activity sessions in local parks, from Tai Chi and paddle boarding, to roller skating and Zumba.